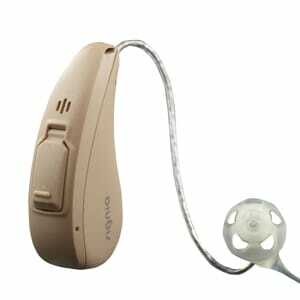 Siemens Cellion 7 Primax hearing aids are the world’s-first, premium-level, lithium-ion inductive charged hearing aids. Because the Cellion hearing aid battery is completely integrated and sealed into the housing, the wearer no longer needs to worry about opening and closing small battery doors or fumbling with tiny batteries. 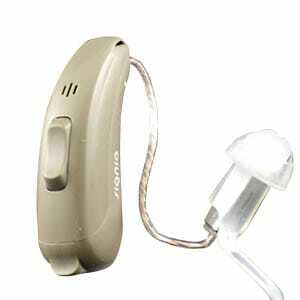 Unlike other lithium-ion and silver-zinc rechargeable hearing aids, Siemens Cellion 7 Primax has no charging contacts. This eliminates the hassle of exactly aligning the hearing aid inside a charger, making the entire system more reliable and convenient for wearers. Once the hearing instruments are placed in the charger, they turn themselves off automatically and immediately begin to charge. When the instruments are removed, the hearing aids intuitively know to turn themselves back on. Cellion 7 Primax delivers up to 24 hours of continuous use on just 4 hours of charging – this enables up to two days’ normal usage with full wireless streaming. NOTE: One Cellion charger is included free with the purchase of a pair of Cellions. If a single hearing aid is ordered, you must also order the charger separately at a cost of $225. Siemens Cellion 7 Primax innovative programming and features use binaural technology to combine the input and processing power of a pair of instruments to allow you to hear more clearly in even the most challenging situations. Siemens Cellion 7 Primax continues a tradition of technological excellence with advanced features like automatic adaptive directionality, SpeechFocus, Tinnitus Management and discrete control from your iOS or Android based smartphone with the touchControl app. Siemens / Signia Cellion Primax hearing aids include a 3 year warranty PLUS loss and damage insurance. Also, each hearing aid purchase from Precise Hearing comes with a 45 day, 100% money back return policy – so your satisfaction is guaranteed. SpeechMaster – Offers better speech understanding by automatically reducing background noise and boosting the speaker’s voice. TwinPhone – Sound is transmitted into both ears when using a non-Bluetooth (cordless or landline type) phone. CROS/BiCROS Option– for those who have hearing in only one ear, but want better awareness of where sounds are coming from. See Signia Cellion 7 Primax for features and specifications.